If you had pictures taken at the “Share Your Hope Story” photo booth, you may view and download them here! Wow – what a night. The Staff and Board of Hope Community are so appreciate to all of you who joined us last Thursday evening for our big celebration. 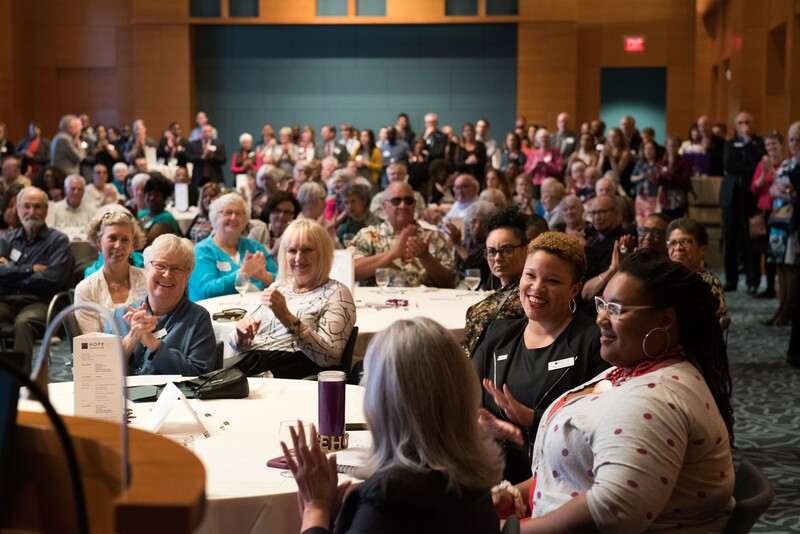 Joined by over 250 of our friends and supporters, we shared stories, connected with some of the many people who have shaped Hope over the last 40 years, and built new relationships as we enter a new era. 40 years of building community and making a difference here at Franklin and Portland Avenues; particularly the vision and leadership of Char Madigan – who founded St. Joseph’s House and has helped move the organization throughout the years – and Deanna Abbott Foster – who boldly led the organization from shelter to community development. 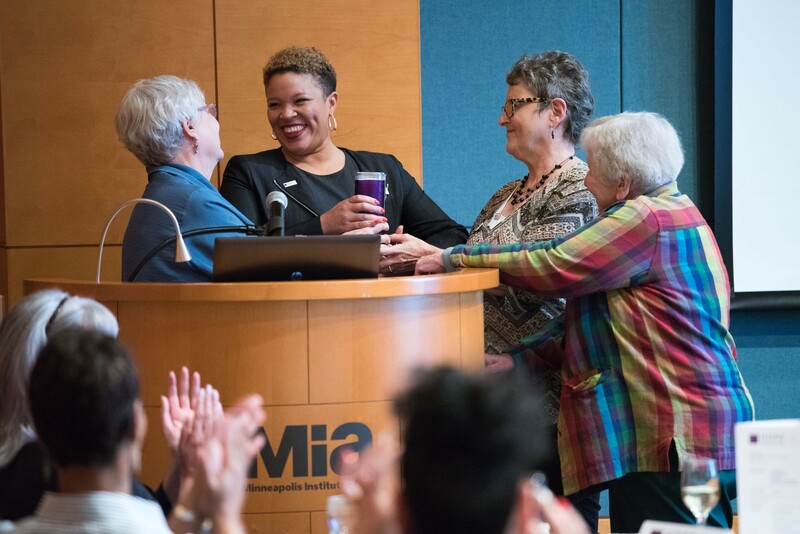 The work and legacy of Mary Keefe, whose leadership over the last 20+ years built an infrastructure and a reputation for the organization as community-connected and credible on organizing and equity. And of course the arrival of our new Executive Director, Shannon Smith Jones, who is the perfect leader to take the reins at Hope as we move into the next 40 years. We were honored to have all four of our Executive Directors share the stage and also their reflections on the legacy of the organization in our new video. If you missed the program, or just want to see the wonderful video again, you can find it HERE. A big thank you to our friends at Line Break Media for producing this video. 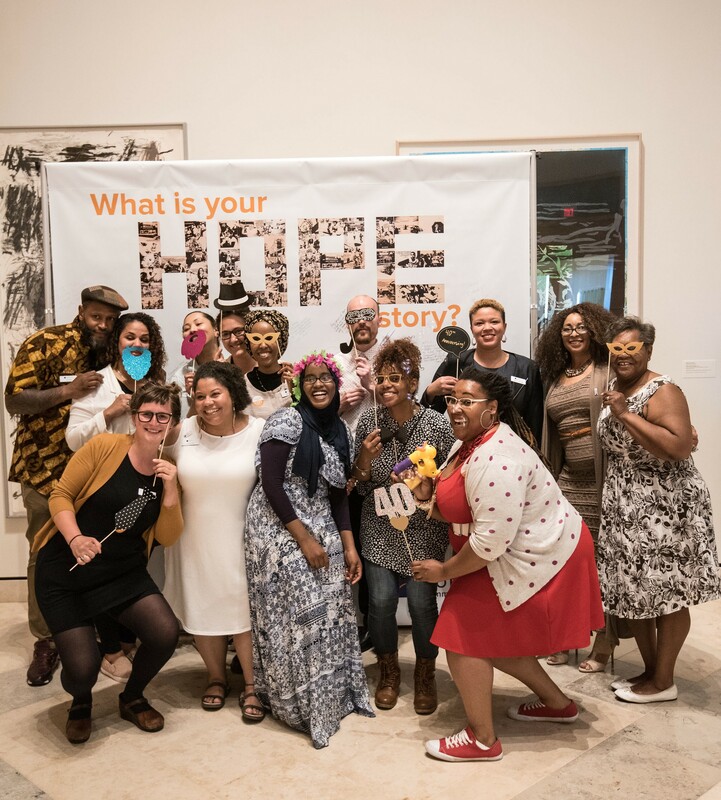 Also, if you shared your Hope story with us through the photo booth, please check out the link to the photos at the top of this post. Thanks again for being part of Hope Community!